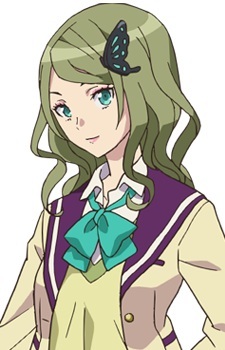 A third-year at Sakaneko High School, the president of the anime research club, and Minoa's upperclassman. She generally watches all kinds of anime, but holds a particular fondness for magical girl anime for young girls. She likes to cosplay. She previously lived in the United States due to her parents' job.